Austrian software house Objective Development, the folks behind the Little Snitch network monitor application for the Mac, has put out a Micro Snitch app. 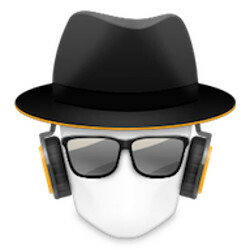 True to its name, Micro Snitch acts like a snitch and informs users of any microphone and camera activity on the Mac. Little Snitch should be a welcome app to Mac owners who worry whether they’re being stealthily spied upon (by hackers, government intelligencies agencies or rogue apps). If an application starts recording audio or video on the Mac, Micro Snitch will supposedly inform the Mac user about it. The application comes with a convenient logging feature that lets users see if a microphone or camera was active while they were away from their Mac by logging to the Console or to a separate file. Micro Snitch requires a Mac with OS X 10.10 0 or higher. Micro Snitch is available at the Mac app Store and costs $1.99.